I WAS in Burkina Faso this past week—a West African landlocked country about two-thirds the size of Malaysia. Those of us who remember the many high level visits from foreign leaders in the 1990s would recognise Burkina Faso as one of the countries that Malaysia befriended as part of its outreach to Africa programme. Burkina Faso was also one of a slew of former French colonies to have changed its name since independence; it used to be known as the Republic of Upper Volta before President Sankara decided in 1984 that “the land of honest men” would better suit the republic. Hence, “Burkina Faso” was born. In 1999, a t the height of Malaysia’s popularity in Africa with many projects and initiatives, Burkinabe President Blaise Campaoré made a number of visits to Malaysia. He conferred with then Prime Minister Datuk Dr Mahathir Mohamad at the Langkawi International Dialogue (LID) as well as during his state and working visits, forging a number of agreements between the two countries and bringing the two countries closer together despite the geographical distance. President Campaoré ran Burkina Faso for 27 years, beginning from 1987. 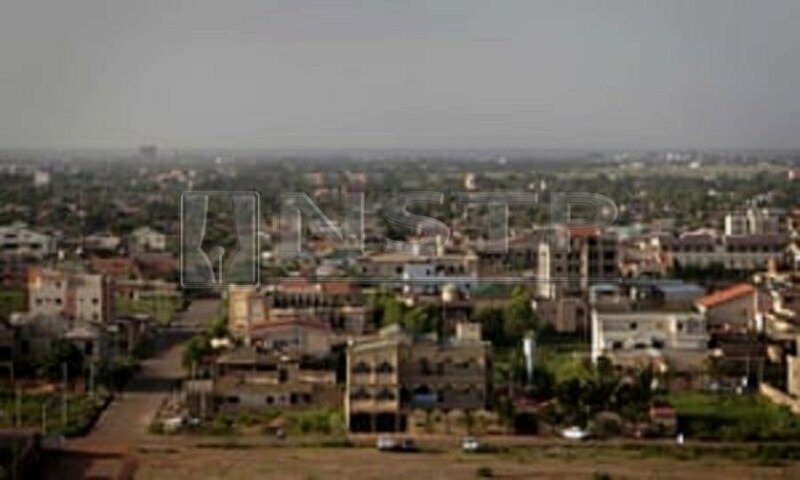 Though he overturned many of his predecessor’s policies, the one major initiative that he continued to support was the establishment of “Ouaga 2000”, an ambitious project designed to create a new and fully planned capital city. Since the planning for Ouaga 2000 had begun in the 1980s around the same time that Malaysia’s own Putrajaya was being planned, it is unclear who followed whom. One thing is clear, however, the Ouaga 2000 I saw last week is a well-planned, spacious, sprawling new city not only by Africa’s standards, but also by world standards. The capital city of Burkina Faso is Ouagadougou —a name with entirely too many vowels and not enough consonants perhaps. Ouaga 2000 occupies about 10km o f Ouagadougou and boasts a number of embassies, most of which seem larger than life. The Embassy of Mali in Burkina Faso, for example, looks more like the building for a large government agency in Malaysia rather than a diplomatic enclave. The President’s place of residence, Kosyam Palace, which also doubles up as his official meeting place and the site of many ceremonial events, is also located in Ouaga 2000. One striking feature of Ouaga 2000 is its roads, which can easily accommodate five cars travelling side by side. From the air, the whole of Ouagadougou looks like a Lego city, with its straight roads and square areas for houses, buildings and other structures; in urban planning terms this is a city built on a grid. Unlike Senegal where the people walk everywhere, you can hardly see people walking by the side of the roads. Instead, there are a whole lot of bicycles and motorcycles and even a dedicated lane for these two-wheel contraptions. If even women in abbayas can afford motorcycles, that must mean that motorbikes are cheap and easy to purchase in Ouagadougou, unlike in Dakar. But all was not always rosy in Burkina Faso. The main reason why the country, despite achieving independence since 1960 has not been able to develop as rapidly as other countries is because of the many coup d’etats and seizure of political power by the military. Even Burkina Faso’s iconic leader, Blaise Campaoré was himself a captain in the nation’s army before wresting power ina1987 coup. Another major reason for Burkina’s slow economic progress is its landlocked status. These days, Burkina Faso is slowly but surely consolidating itself in all fields. It has a long way to go, however. The country is one of the major producers of cotton in Africa, but because it is technologically challenged in refining the cotton, it exports raw cotton and subsequently receives much less than what it could have made with the processed version. The March 2018 attacks on the military headquarters and the French embassy, as well as numerous militant activities in eastern Burkina Faso, has contributed to the overall security problems of the country. Despite the odds — food insecurity, agricultural and technological challenges, low literacy rates, security problems, export challenges — this is a country that has shown its steel-willed resilience. The current president continues to market his country to the outside world, bringing in much needed investment and technology transfer. The cost of living in Ouagadougou is lower than in some other Western African countries, and Burkinabes (as the citizens are called) continue to be welcoming and open to foreigners and ideas. I believe that a country that can plan its capital city to the extent it can be emulated by others has a lot of promise; it just needs some help from friends. A lot can happen. We may just be surprised. Dr Shazelina Zainul Abidin is a foreign service officer and an honorary research fellow of the University of Sheffield, the UK. These days, she writes primarily on international affairs, with particular emphasis on Africa.